Views from summit of Sca Fell, Cumbria (964m). Distances in miles. 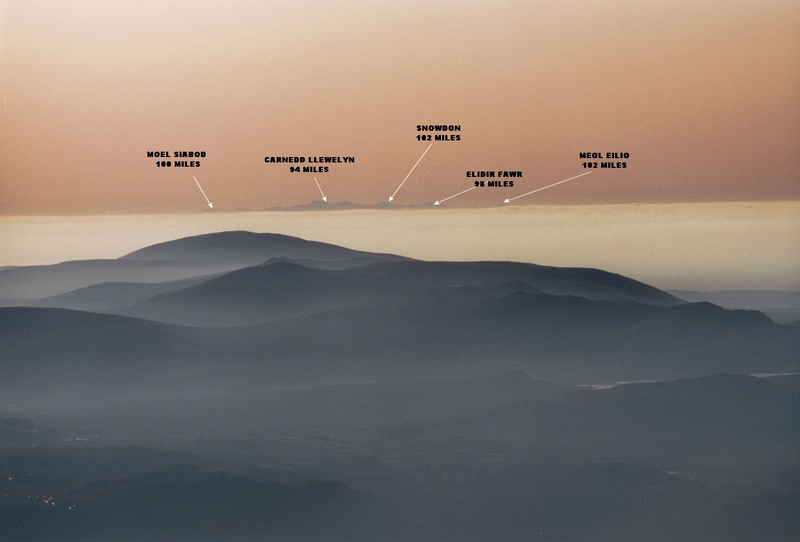 The lower features of Snowdonia are hidden by the cloud inversion. Photo credit: Neville Fox, December 1990 (original).